and just look how adorable they turn out. I swear, I’m going to end up with 20 different bracelets because there are just so many bead combinations that work. If I was really clever…I’d give these pretty things away to all my friends. Think about that for a second. I could make a serious dent in the Christmas gift budget…I could. 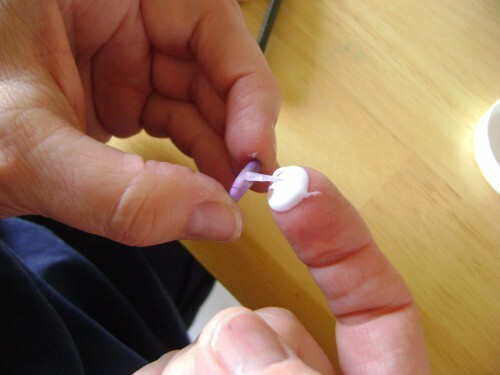 Here’s how to make the beads yourself. 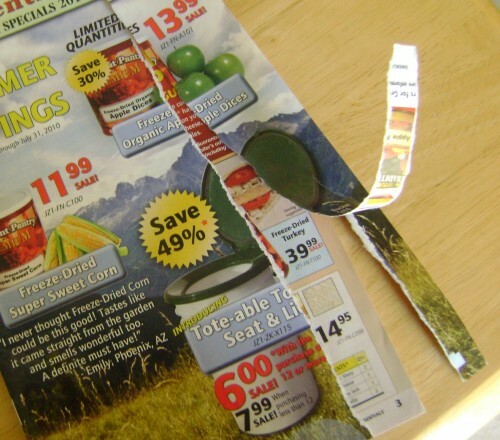 First, start with a paper ad or pages from a magazine. I’ve seen the beads made from comics but the glossies were more my style…and not as messy as newsprint. 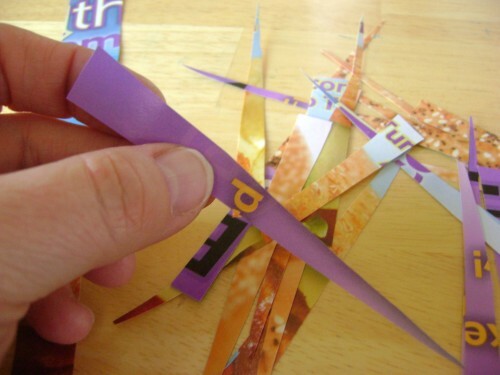 Cut the paper into shard shaped strips–about 4-5 inches long. 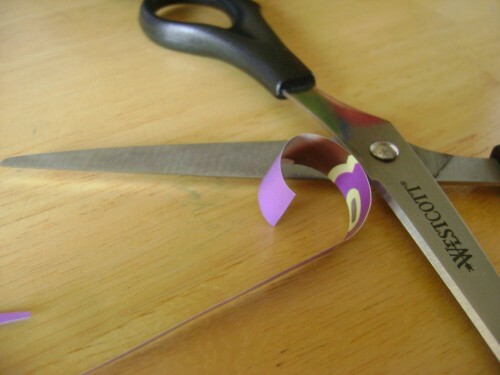 Curl the wide end with a pair of scissors–to get the roll started. 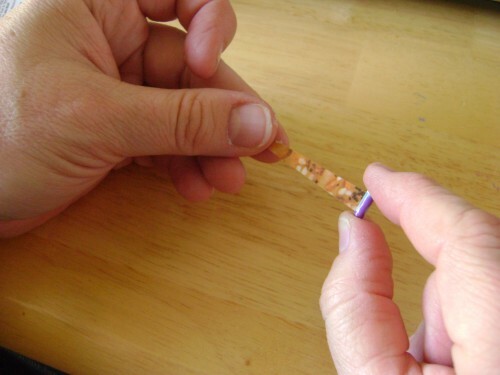 Next, just start rolling the strips up–pulling gently on the smaller end to tighten the roll as you go. When you are nearly at the end of the strip, dab Mod Podge on the last inch or so and finish rolling. 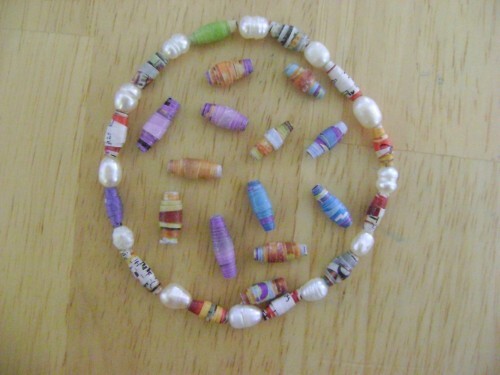 Smear the Mod Podge all over the bead and set it on wax paper or a plate to dry. Scoot them around a bit as they dry to keep them from sticking. Adding several coats of Mod Podge will smooth out the paper lines so that they look more subtle. The beads on the right have only one coat and the ones on the left have two. 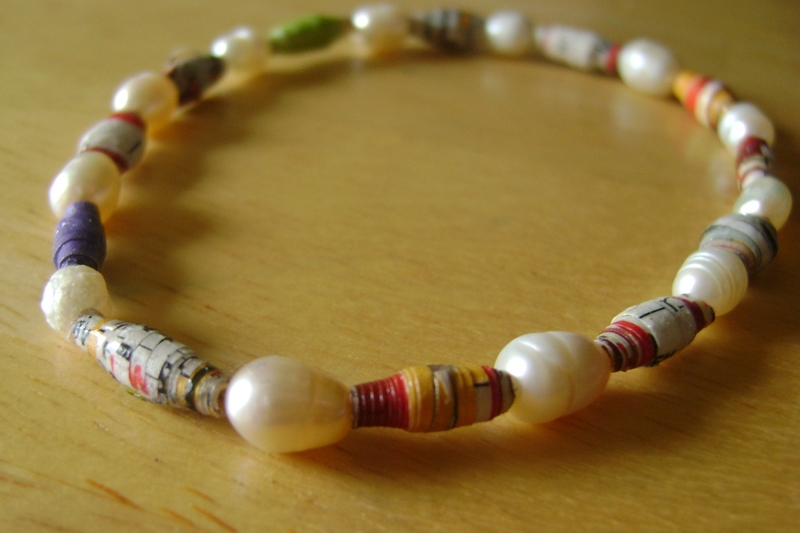 String the beads onto Clear Stretch Cord, alternating with whatever glass or metal beads you’d like. Tie ends together with a square knot. 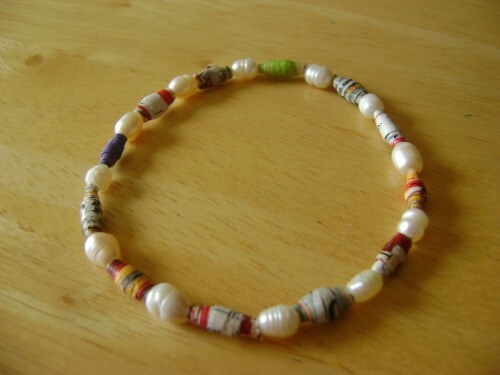 Hide the knot by gently pulling it inside one of the beads. 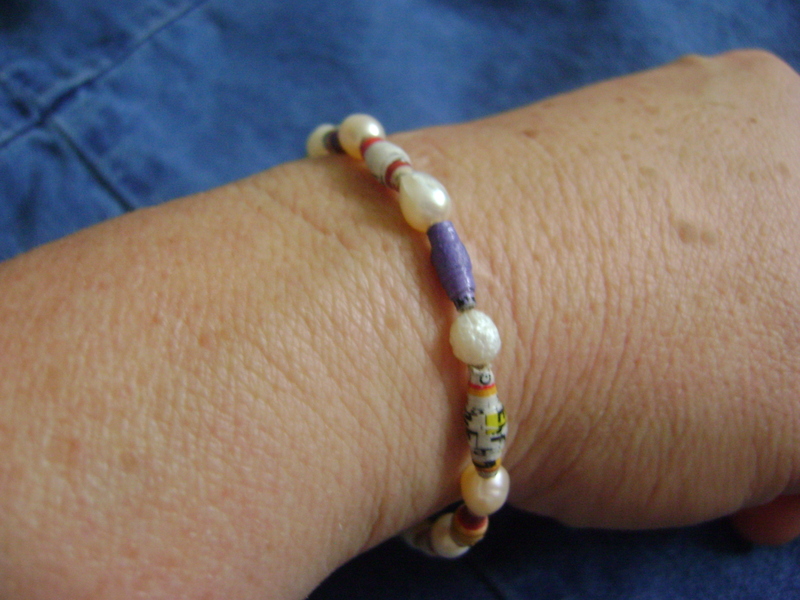 Guard your Mosiac Paper Bead bracelet from getting wet–after all–it’s still paper at heart! And there you have it. 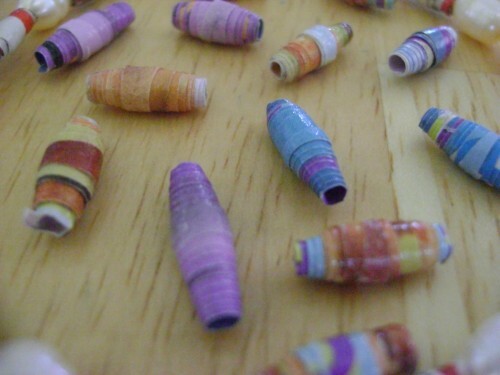 Gorgeous Mosiac Paper Beads that whip up in no time and come together with endless color combination possibilities. Maybe you’ll be brave enough to give them away…instead of hording them all. That is so fun!!! I will have to tell my grandma about this!!! She is totally into making beaded bracelets 🙂 Thanks Launi. So cool! Nice use of the Emergency Essentials catalog! They are really fun and sooo easy. You and your girls would love them! I did that just for YOU! I promise, it was expired. These look like something fun for the girls to do!! I have a huge assortment of beads and wires, this looks like just the thing for a weekend “girl fest”! Thanks for sharing. I learned to make these years ago with my young women’s group. Thanks for reminding my about them. They are easy and fun. I was wondering if you could show me how to string the beads and tie off. I have always wondered how to tie the string off without a knot showing. These beeds can be rolled on a tooth pick which might make it easier. Somewhere in my stash of crafts that I’m going to do some day, I actually have a machine that cuts them into the strips. I’ve just retired so I no longer have an excuse for not doing anything. 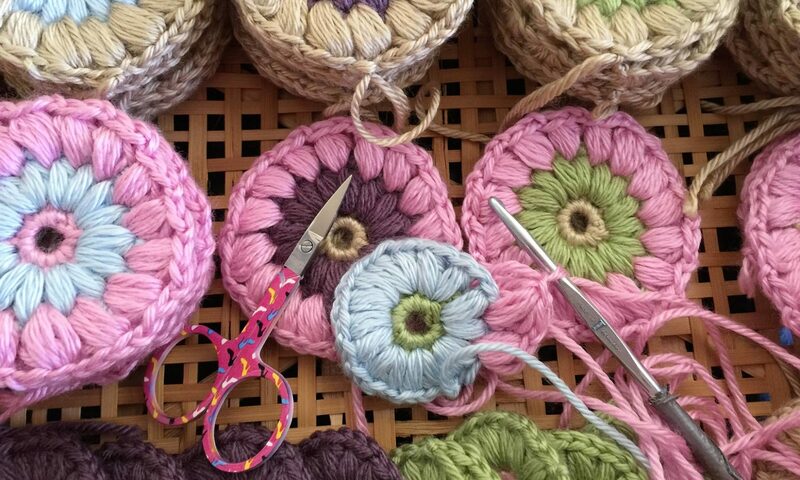 So glad I discovered your site, my granddaughters are always wanting to come over and craft and they are now at the right age to do these. Love them. I always try to look for some unique techniques online so that I can always create special jewelries using my crystal beads. Therefore, I tried my very best to do some research on beading ideas online and the search engine brought me to your post. I really enjoyed this article. Another reason of why I am pouring all of my efforts on crystal beadings so that I can make some crystal beads accessories for my handmade accessories online store on Etsy. I have never thought of doing it this way and I would love to give it a try soon. Personally, I find round crystal beads add a special touch as they are so versatile and elegant. Thanks for sharing these tips and information with us. I will keep an eye on your websites for more ideas. Thank you so much! I’d love to see what you come up with–but remember that these are not exactly waterproof–so, no wearing the bracelet in the shower! :} Don’t ask me how I know how badly THAT turns out! hahaha!